What makes a good French breakfast? Croissants, a large group of energy enthusiasts creating a lot of energy. 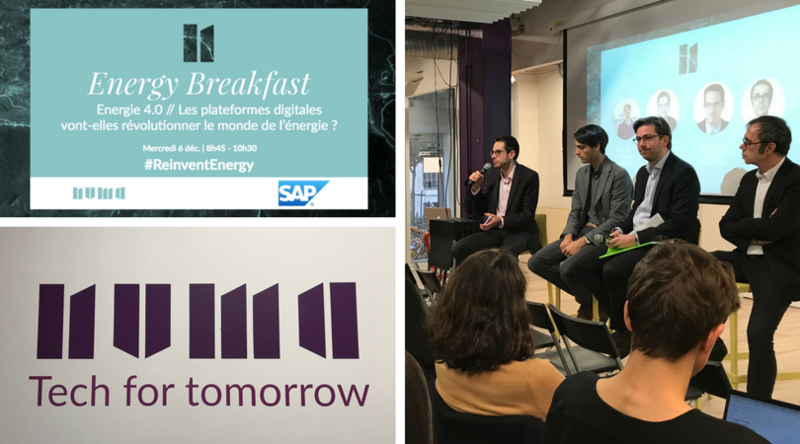 Under the heading “#Reinvent Energy“, NUMA in cooperation with SAP had invited start-ups to discuss digital platforms in the energy sector over a delicious breakfast in Paris. We are delighted having been part of the panel with Opinum and the French energy company engie to talk about how digital platforms will revolutionize the energy world. More and more French territories want to take control and monitor their energy as well as the related data. Platform Solutions like GRIDS energyCity, the joint product of enersis and Navitas, can help utilities to build new business models. The increased transparency provided with the online platform can also be a basis for sustainable partnerships with public authorities. They will be able to communicate and control their energy strategies more efficiently, as the energyCity platform provides a powerful database and advanced interface. How this works has been part of a fruitful discussion as well as how citizen can be involved and how data security and privacy can be ensured. Especially the latter is one of the key success factors for any platform! Would love to continue the discussion over lunch? Get in touch with enersis or Navitas now! Many thanks to NUMA and SAP France for organizing the event.